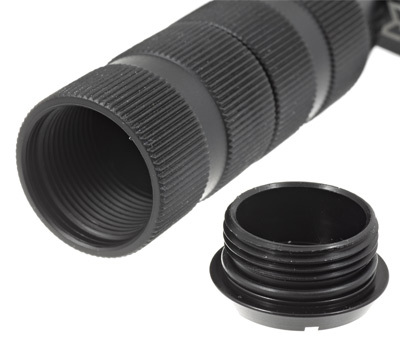 The 360° Vertical Fore Grip (VFG) gives shooters the ability to adjust their vertical fore grips 360 degrees at any angle with a simple locking handle. This grip is very useful in competitive situations when shooting from supported positions. 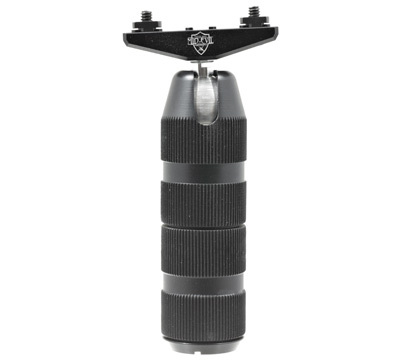 A simple twist of the lower portion of the grip allows the user to swivel it to a preferred orientation. It is capable of mounting on bottom or side rails, giving the shooter more versatility and ergonomic positioning for optimum user comfort and control. The 360° RFG for the M-Lok has been precisely manufactured according to Magpul specifications to ensure compatibility with their M-Lok system. The storage compartment in handle can be used to store a variety of useful items including batteries, tools and small parts or cleaning gear. 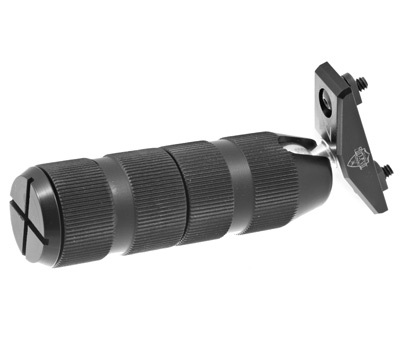 The VFG is made from 7075 T-6 & 6061-T6 aluminum components with a black hard anodized finish. It also has an aggressive texture to provide a strong, comfortable grip in any weather condition. The 360 Vertical Fore Grip weighs only 5.2 oz. and is 3-7/8 inches long. 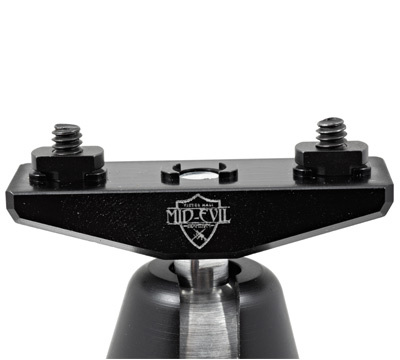 Made in the USA by Mid-Evil.